Depending on what license for Xeoma system security you buy, you might get a 1 or 3 years period of free software updates for free. What does this mean? 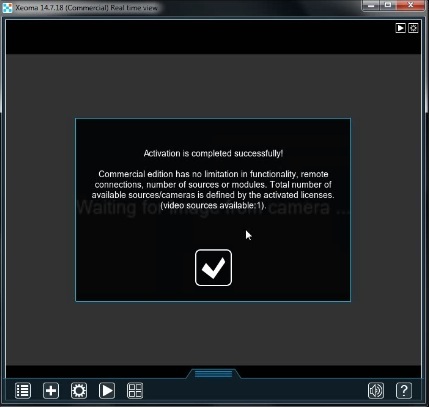 Xeoma system security software is being actively developed. New features, sometimes even unique ones, are being added every day. Every once in a while we release new versions of Xeoma with improvements and new features. 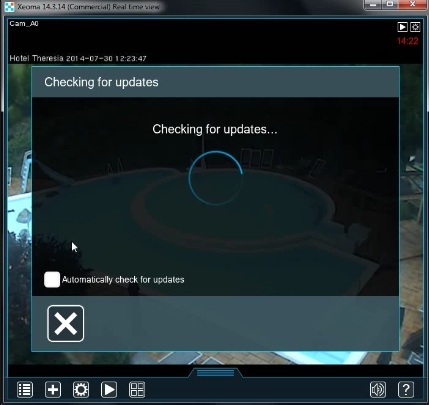 When a new version is released, you get a message in the program about the possibility to get software updates for your Xeoma. Within that 1 year/3 years of free updates period you get with your license you can update your Xeoma system security software to the newest version available. But what should you do, when the free software updates period is over yet you still want to get the newest features and improvements? We suggest you to purchase license renewal for your licenses with up to 50% discount and enjoy another year of free new, interesting and useful versions, or purchase a 3-Years License Renewal Pack and forget about software updates issues for 3 years! Please note that license renewals are only for prolongation of software updates period. 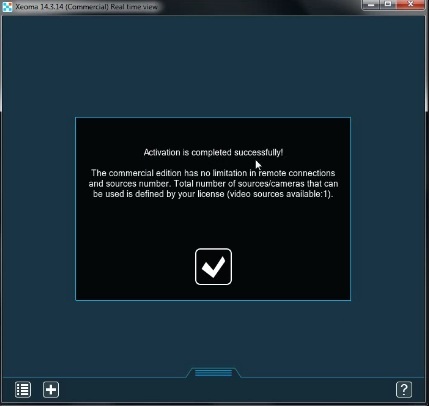 They do not upgrade your Xeoma system security software (do not extend the number of cameras in your original license). If you need to add more cameras in Xeoma, please buy more Xeoma licenses instead. To activate a license renewal in Xeoma, you need to first launch the latest version of Xeoma system security software that your license can be used with, and make sure Xeoma is activated with it. If you already have the activated version, you can skip to the next step. Please go to the Main Menu and check for the available software updates in Main menu -> Information -> Check for updates. 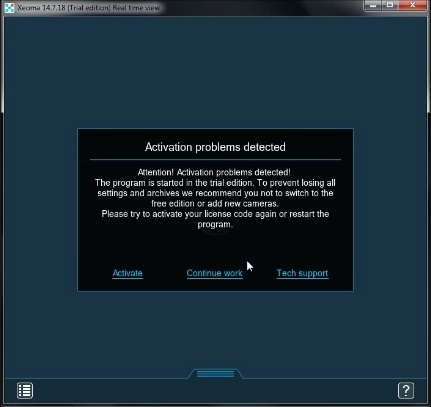 Xeoma system security software will show you the error message and warn you that it will start in the trial mode. 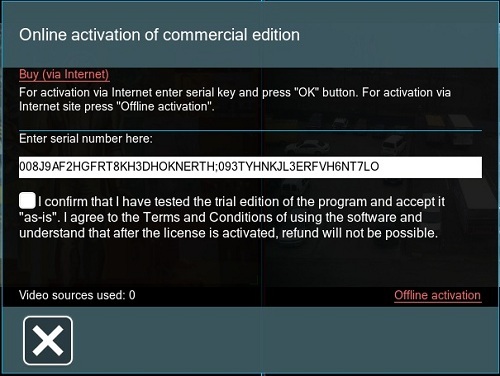 Choose the “Activate” option and enter the license renewal serial number. Now you can use one more year of updates for your Xeoma (or three years if yours was a 3-Year License Renewal). You can also paste both your Xeoma original license and license renewal serial number into the activation field separated by a semicolon. 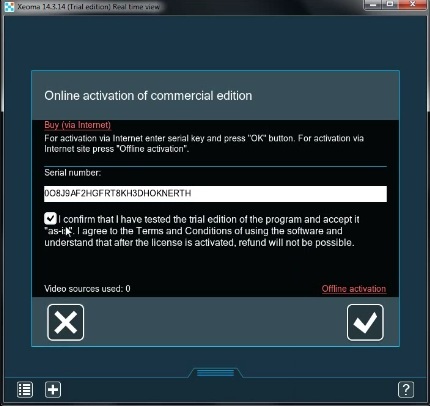 If you have several expired Xeoma licenses and one renewal for them all and you need to activate them anew (for example, after move of the surveillance system to another machine), you will need to activate all license serials and a renewal in one go or each expired license with the renewal or in pairs based on the priciple “Expired license1 + Renewal, then Expired license2 + The Same Renewal”.